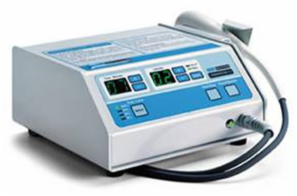 Ultrasound energy has been used for many years to relieve pain, muscle spasm and to enhance wound healing. PainShield MD ultrasound has been shown to reduce pain. In addition to relaxing muscle spasm, it may exert its action via possible effects on nerves, blood vessels and nitric oxide formation. Conventional Ultrasound affects a narrow portion of tissue, while the PainShield MD action is much wider. Conventional ultrasound units are limited by their cost and size, and even portable units are cumbersome to transport. The small number and length of treatment sessions that are possible with conventional units in a clinical setting limit the effectiveness of the therapy. The PainShield® MD device solves all of the problems of conventional therapeutic ultrasound. Treatment is not limited to the few occasions that a patient can visit a therapist's office. Allowing for time to charge the unit, up to two treatment sessions of 6.5 hours each can be applied each day. PainShield MD is simple to operate - one button switches the unit on and off. PainShield MD has been shown to alleviate the pain of trigeminal neuralgia and other pain conditions. 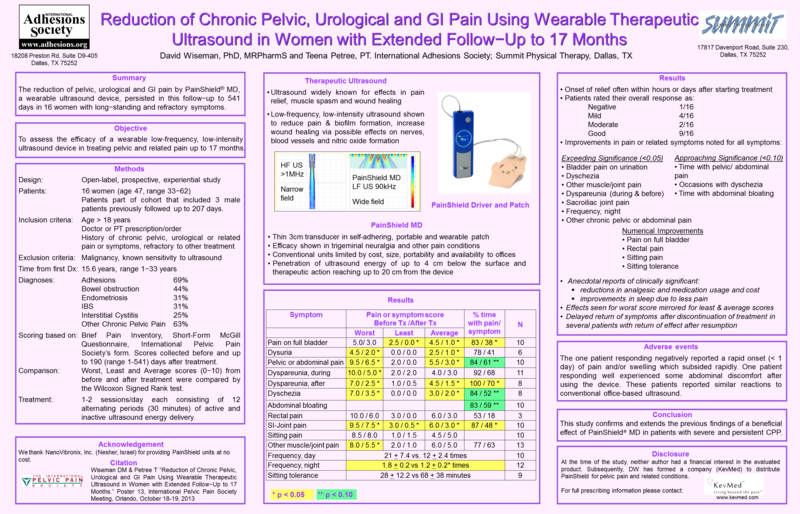 Click here for details of the clinical study evaluating the use of PainShield MD in patients with chronic pelvic pain, interstitial cystitis, and related conditions. For prescribing information and instructions for use please click here.